Categories and Tags are powerful ways to organize your posts. Categories and tags can be added to a post in the post editor. Categories and tags can be used in menus to create pages that contain a collection of posts with that catergory or tag. 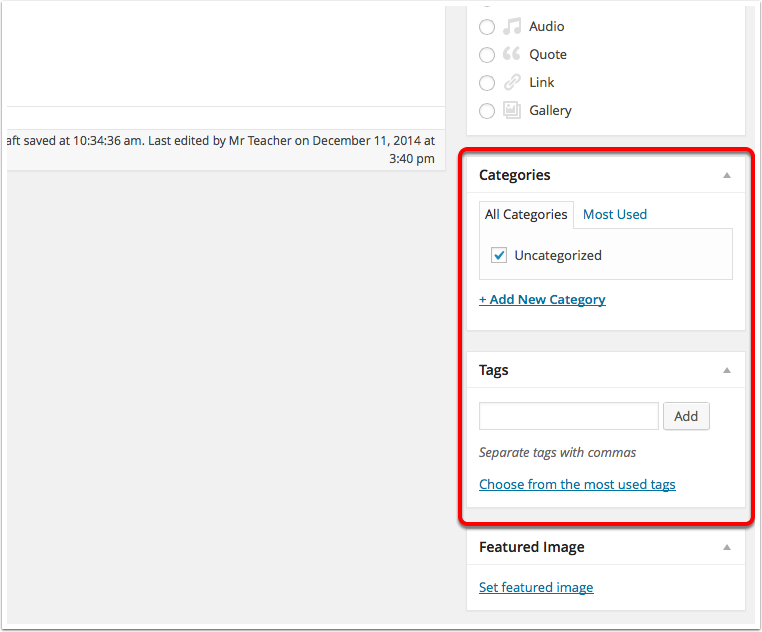 Lists of categories and tag or tag-clouds can be displayed in a blog widget. Tags can be added by typing them into the tag field and clicking Add . 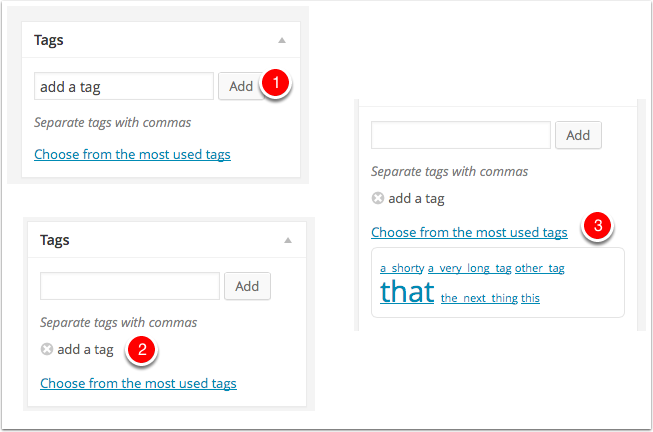 Multiple tags can be added using a comma to separate the tags. Once tags are added they can be seen below the tag field with a small x before each tag. You can remove tags from a post by clicking the x. By clicking Choose from the most used tags in Post Tags  you can show a list of tags that have been used before. This will help on blogs with lots of tags, for example e-portfolios, where mistyping can result in confusion. You can display a ‘cloud’ of tag links on your blog by using the Tag Cloud widget. This can be added to your blog sidebar in the Widgets admin page. 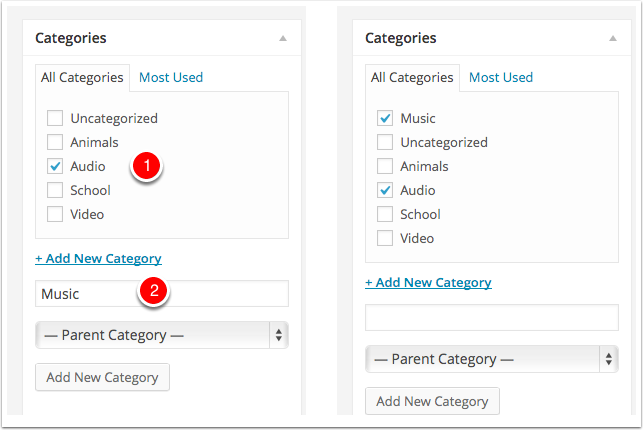 Categories can be added by checking item in the Category list  in the Post editor. New Categories can be created in the post editor using the field at the bottom of the list. Categories can be used to produce page of posts with the same Category. Categories can be displayed in the site menus. You can also add a list of Categories to the side bar by using the Categories Widget. You can do this from the Widgets page in the dashboard. NB. Categories will not appear in the widget until there is at least one post using that category.